Lussier Auction has been in the business since 1952 with Roger Lussier as owner and auctioneer. Son, Reg Lussier, joined his dad in 1973. Roger retired in 1992, since then Reg has been very active in conducting sales throughout New England and New York. Joining Reg as the third generation of auctioneers are Toby Lussier and Matt Young. Lussier Auction runs sales of all types; antique & Estates, livestock, farm & construction equipment, Real Estate, and bankruptcy, from the home office in Kirby, Vermont. Lussier Auction is licensed, bonded, and insured in VT, NH, MA, and CT, and is a Member of VT and NH Auctioneer's Associations. We have all necessary equipment: tents, chairs, PA, cattle ring, & sale truck to make your sale a success. Call Lussier Auction at 802-626-8892 for free consultation, references available upon request. 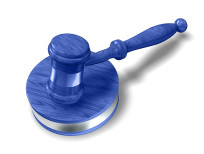 Click the gavel to follow our latest, live auction information at auctionZip. Click here to register for our latest auction news.